Two pages from Jason Lutes‘ spectacular Berlin, City of Smoke, the second volume of his story of late ’20s/early ’30s Berlin. If you haven’t been reading it, you really should be. Go buy Berlin, City of Stones, the first volume, and Berlin, City of Smoke, which came out in trade last week. 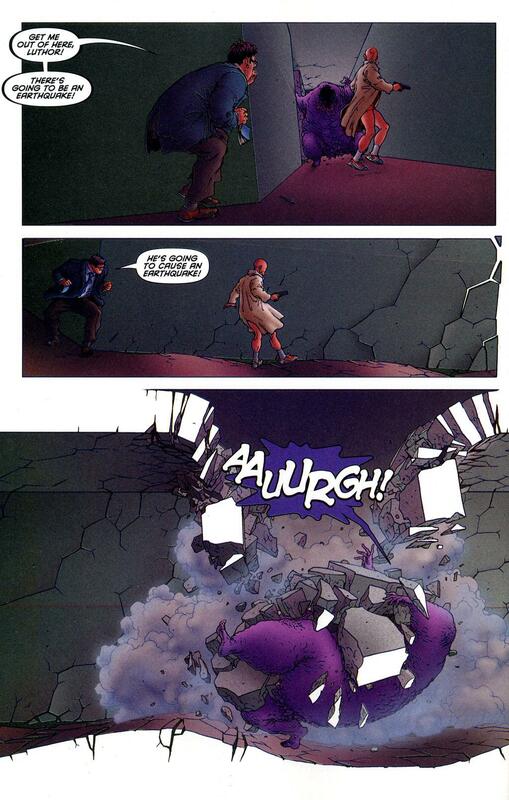 My apologies for the poor quality of the scans - I had to do ‘em myself, and, well, I’m not good at scanning. Anyway - these two pages just burst out at me when I was reading Berlin last night. 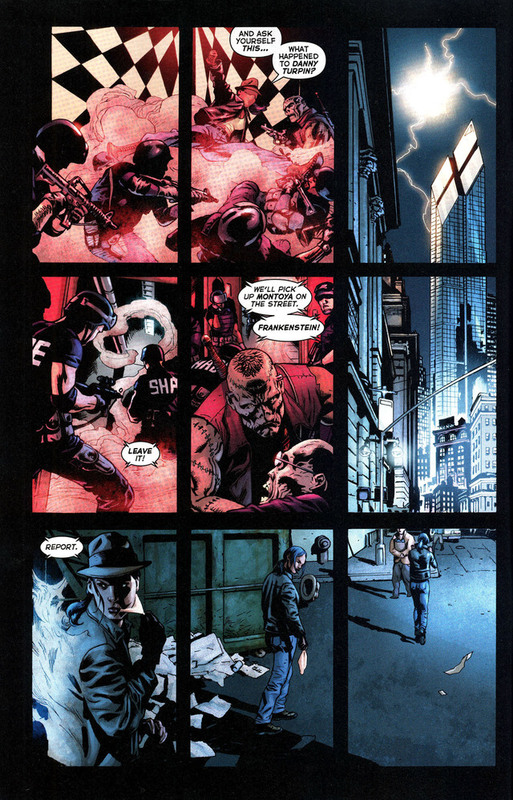 They’re facing each other, towards the end of the first issue of this volume. 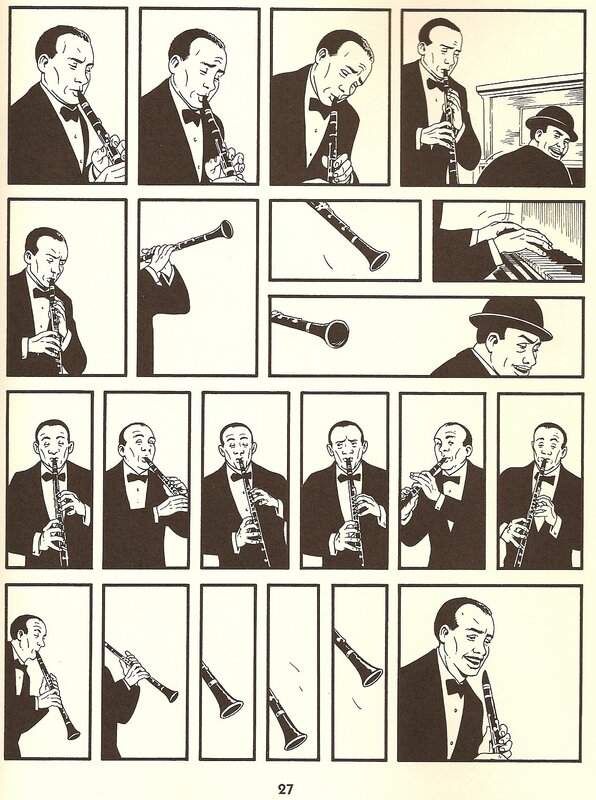 I’ve been fascinated with visual representations of sound in comics for a while now - American Flagg’s lettering and sound effects, Simonson’s sound effects, Todd Klein’s lettering, etc…but this is something different. This isn’t text as sound - this is panel layout and positioning as sound. I can’t honestly tell you exactly what the sound *is*, admittedly. 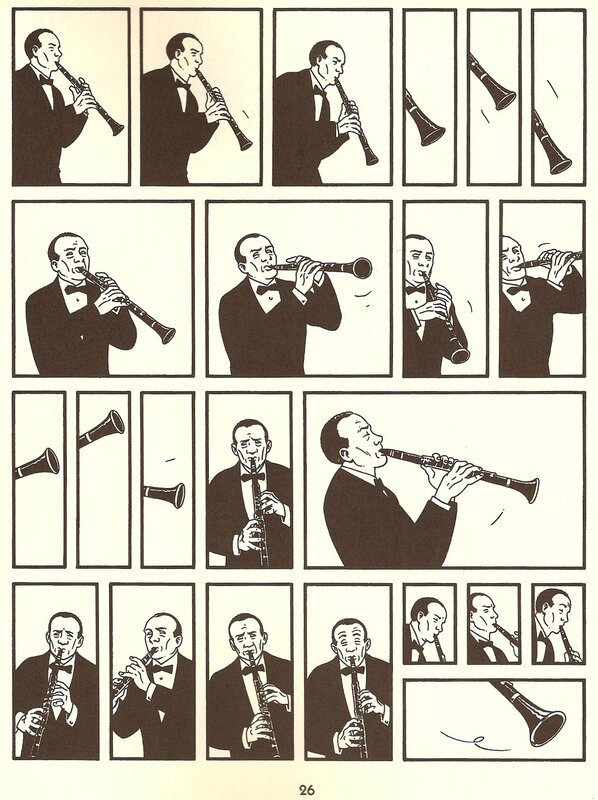 It’s been a long time since I played clarinet, and I was quite awful at it even then. 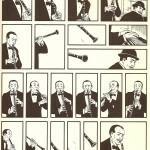 But it’s very clear that the musician is playing jazz - look at how he’s moving the clarinet, emphasizing notes by lifting or dropping the clarinet, even spinning at around at one point. The size of the panels conveys a sense of time - here, that means a sense of the duration of notes. 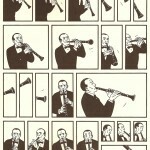 You can even pick up on a repeated theme - the three groups of three panels focusing on the bottom of the clarinet definitely imply some sort of rising and falling pattern. Music is a key theme in Berlin - for example, later in this book, Lutes represents this same musician responding to a Bach record with his own jazz by depicting the collision and merging of two streams of musical notes. But these two pages are uniquely amazing: Lutes manages to make you feel as if you’re listening to the musician playing without using a single traditional visual signifier of sound - no text, no notes, nothing. That’s some nifty composition right there.